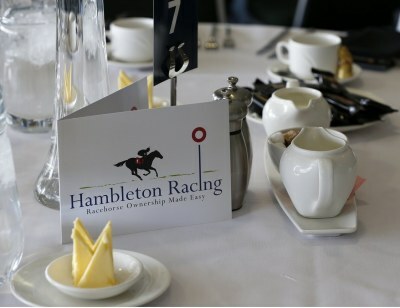 One of the highlights of the Hambleton social calendar is our complimentary syndicate Owners’ Race Day, held at Doncaster's Lincoln meeting within the excellent main stand. 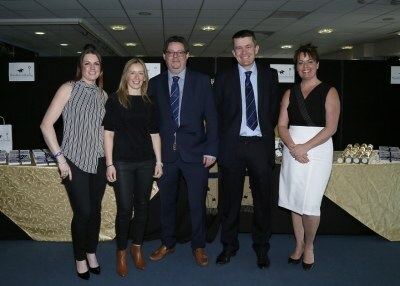 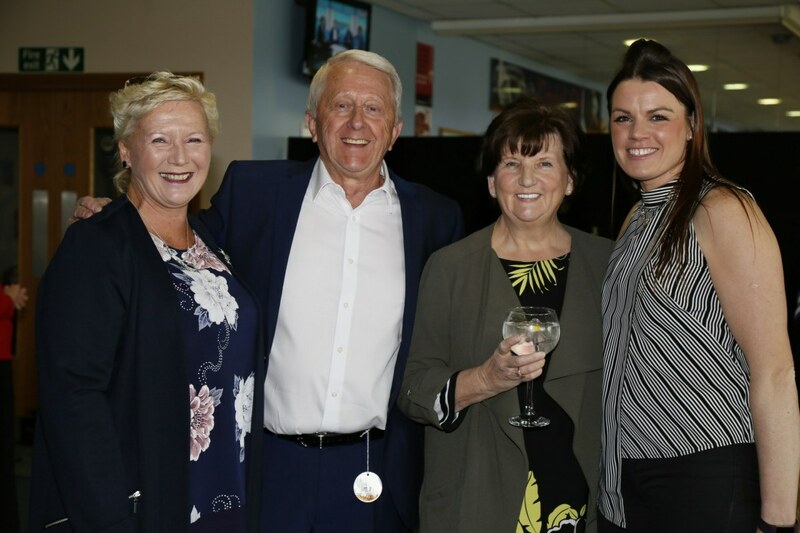 The ever-popular occasion once again proved a big success on Sunday with a significant sum raised for charity as Hambleton’s owners enjoyed a great day from some of the best seats in the house at Doncaster. 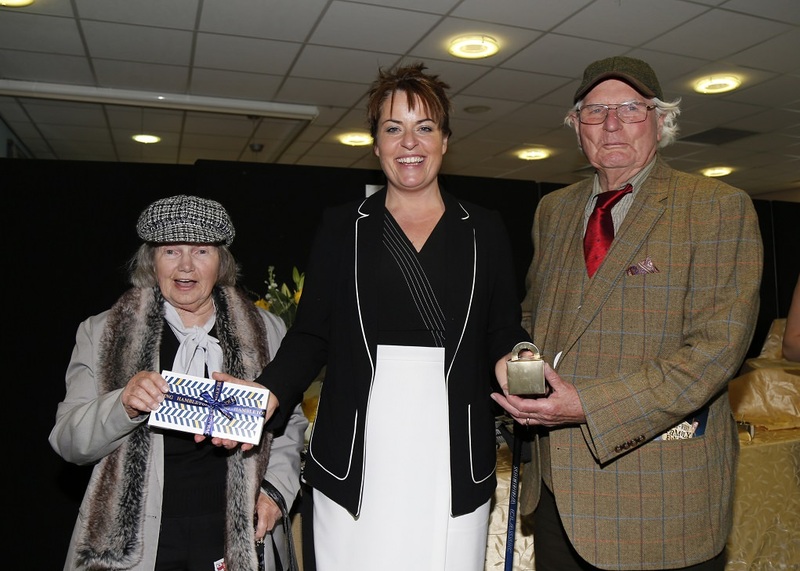 Our most well-supported social event of the year began with the racecourse bathed in bright sunshine as owners arrived to be greeted by the Hambleton team. 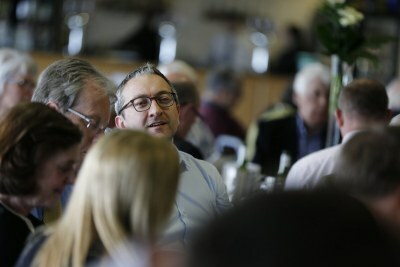 In a matter of minutes there was a great atmosphere in the box as guests found their tables and began to look forward to the day ahead. 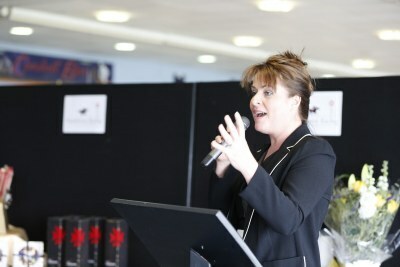 As Caroline took to the microphone to offer owners a warm welcome to the box guests couldn’t fail to notice the impressive display at the front of the box, featuring champagne, handmade chocolates and beautifully presented gifts, arranged by Lizzy, Hambleton’s very own queen of the gifts. 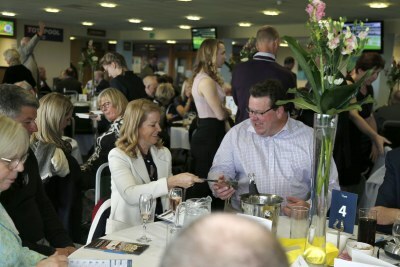 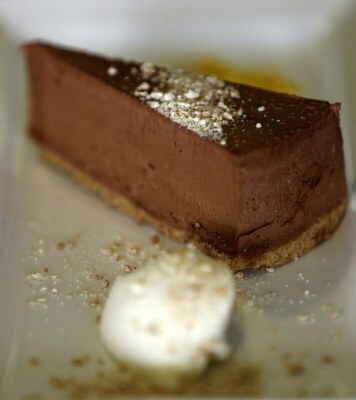 The quality of the complimentary catering was excellent and very well received as owners relaxed and looked forward to what promises to be a very exciting season ahead. 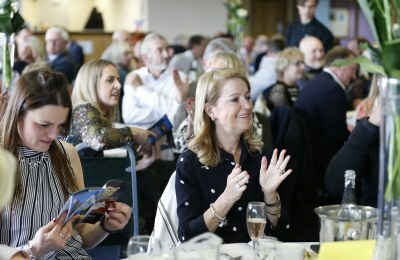 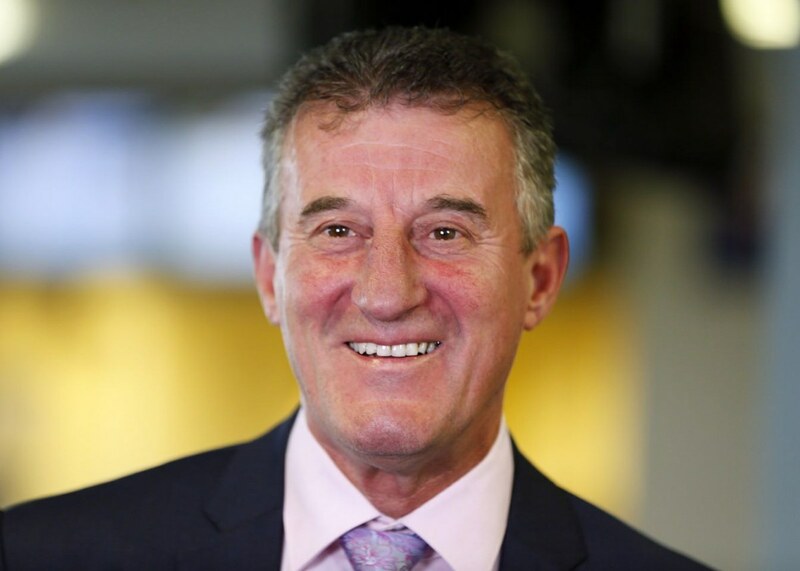 As owners digested their first two courses they were introduced to an old friend of Hambleton, northern racing legend Bill Warby, who had been unable to join us last year after undergoing treatment for throat cancer. Thankfully Bill is back in good form again now and he rightly received a huge, warm round of applause as Caroline introduced Bill to the box. 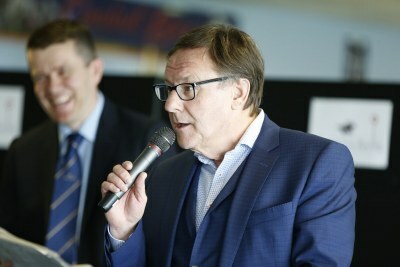 Bill was then joined by Hambleton’s racing consultant and Racing Post form guru Simon Turner as the pair guided owners through the card. 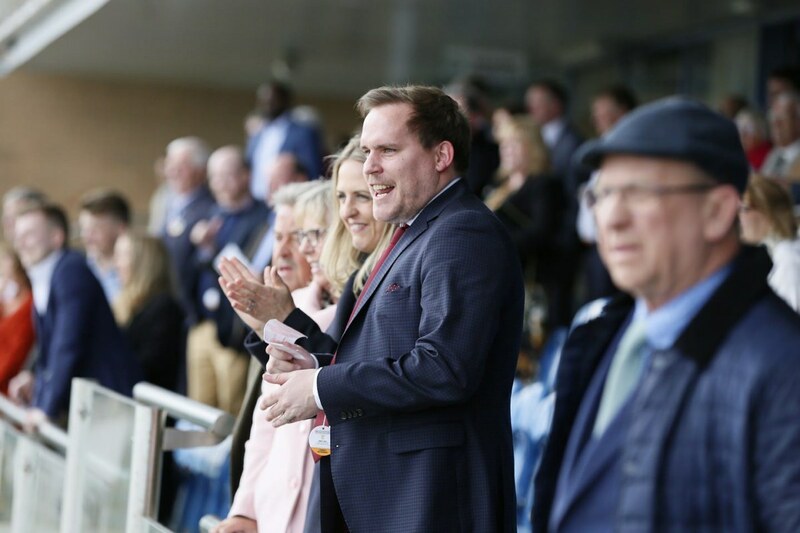 On a challenging card, Bill and Simon were able to pass on the stable confidence for winners at 7-2 and 9-4 while the claims of winners at 7-1 and 14-1 were also clearly highlighted for owners. 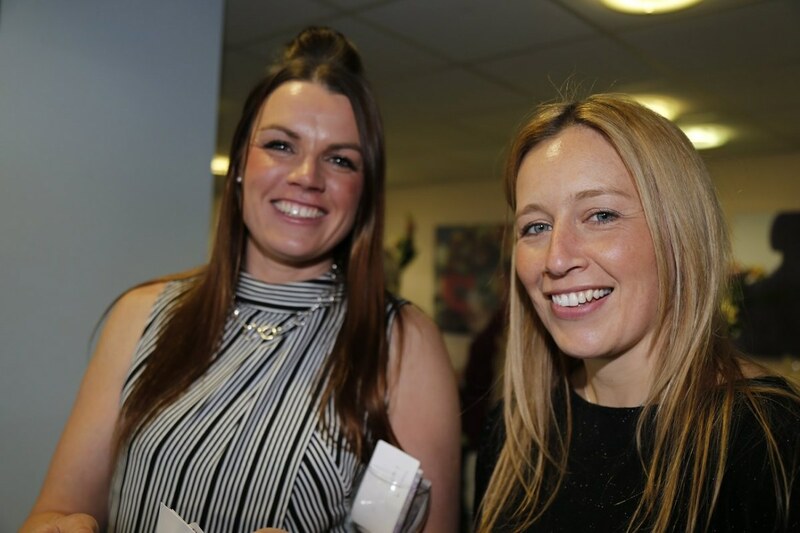 Traditionally, our Doncaster event sees us raise a tidy sum for a charity and this year, we were collecting for Bill’s chosen charity, Macmillan Cancer Support. Our owners have proved hugely generous over the years with tens of thousands raised for charity in the last 15 years and once again gave generously for this great cause. 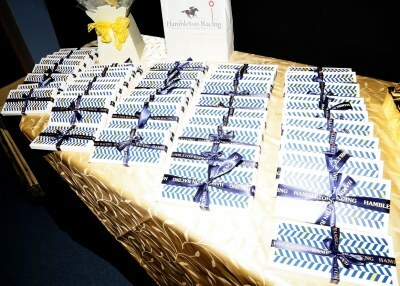 This year’s charity race was the third race on the card with 17 runners going to post. 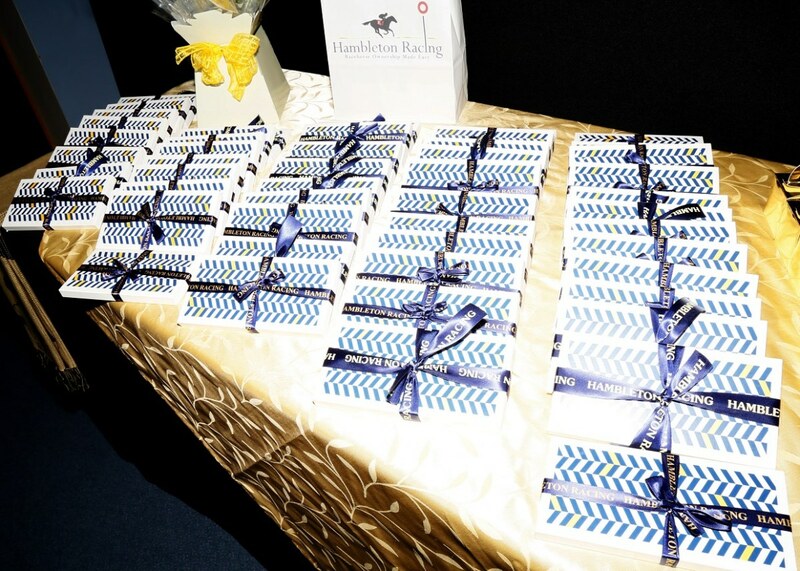 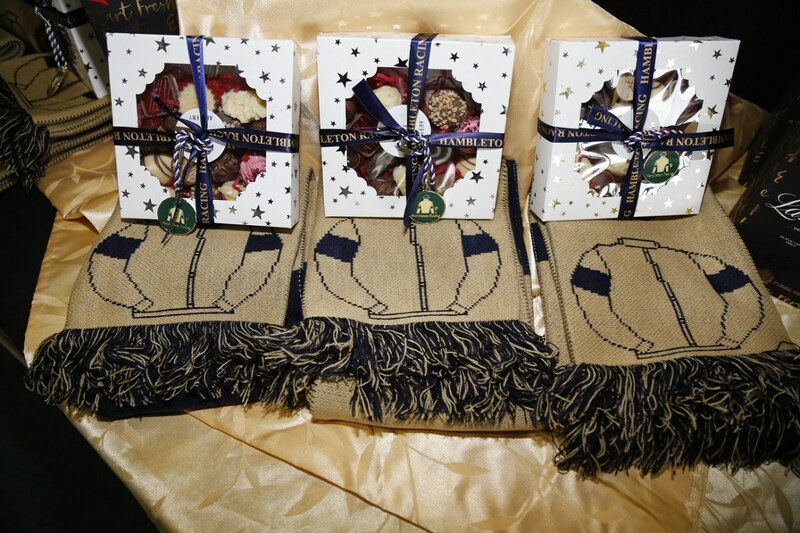 Handmade chocolates, a Hambleton Racing scarf and badge and a bottle of Lanson champagne apiece were the gifts on offer for everyone on the table that had the winning horse. The 14 tables each received their runner in a sealed envelope before the final three runners in the field were auctioned off for Macmillan. 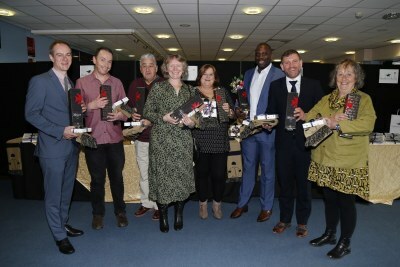 Understandably, there was a definite buzz in the room as the stalls open. 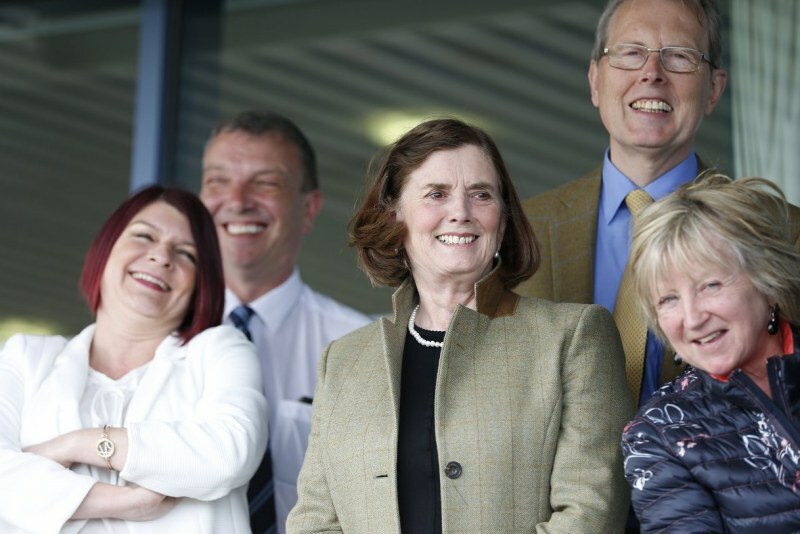 The race lived right up to its billing with Fooladd just prevailing in a thrilling finish. 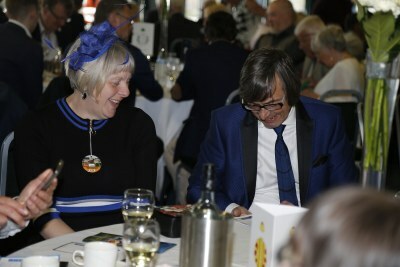 The drama wasn’t quite over there as a brief stewards’ enquiry was called but Fooladd retained the race to the delight of Table 14. 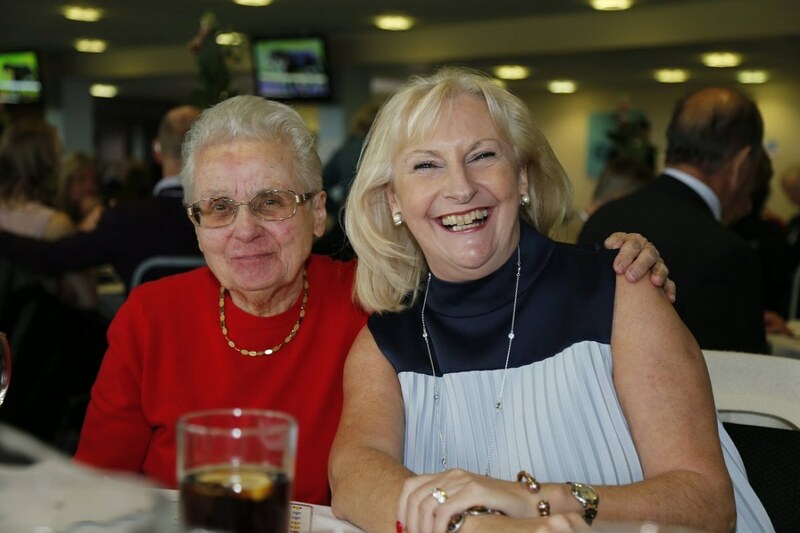 Throughout the afternoon a great atmosphere developed as new and old owners got acquainted in an informal and fun environment in which new friendships were formed and established friendships flourished. It was great to see so many new faces getting to know some of our old friends as some owners got their first taste of what owning a racehorse means with Hambleton. On behalf of Hambleton Racing we’d like to say a big thank you to all owners, not only for all the kind words about the day but also for helping make the day the success it was. We’ve been inundated with kind messages since Sunday from our owners. It’s great to hear that so many of our guests had a wonderful time and humbling to receive so much genuine gratitude for organising one of our favourite days of the year. As ever, the challenge is now on to make next year’s event even better!